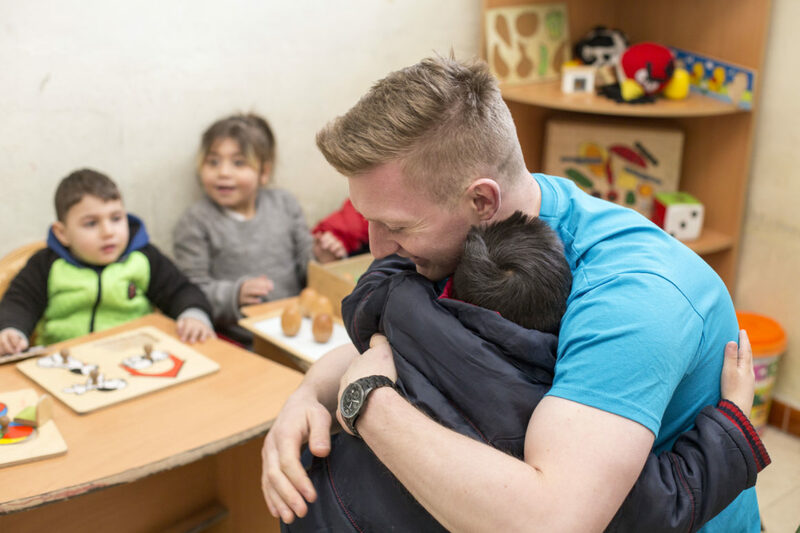 UNICEF Ireland Joe Canning travelled to Syria at the end of 2017, to see the impact of seven years of war on children there. Canning was deeply affected by what he saw, as he told The Late Late Show host, Ryan Tubridy. The pair spoke about Nour, a little girl who made a big impact on the hurling legend. We don’t know her surname. She is three-and-a-half now, at a guess. Nour’s picture is still on the wall of the UNICEF-supported orphanage where she lives, waiting for the day her parents might come and look for her. We don’t know her surname. She is three-and-a-half now, at a guess. One year before Joe met Nour, the toddler was picked up by a soldier in east Aleppo. Aleppo was under siege at the time, though the siege was coming to an end. Amid the chaos, the bombings and the destruction, Nour was found alone, covered in debris, with a broken leg, on the side of a street. “She was old enough to cry ‘Mama’ and ‘Dada’ but wouldn’t say more than that – not even her name. Nobody came for her and she ended up with us,” Children’s Home Manager Mohammed Makki recalls, as another 15 or so children under the age of five play nearby in the rented facility in the Chahba neighbourhood. Still no one came for her. What happened to her parents? Did they, like many others, die in the final, powerful push by government forces to retake the rebel-held section of the city? Did they somehow get separated from her as thousands were evacuated to Idlib province when President Bashar al Assad secured a crucial victory in the (then) six-year conflict? Fortunately for Nour, there was someone else. Although adoption is against the law in Syria, Ms Lejeen was determined and committed enough to pass strict criteria allowing her access to Nour at the weekends. The change in the little girl with the sad brown eyes has been remarkable.